Travel company Tui is maintaining flights to Sharm El Sheikh in Egypt, despite Brussels Airlines and Thomas Cook cancelling services due to security concerns. 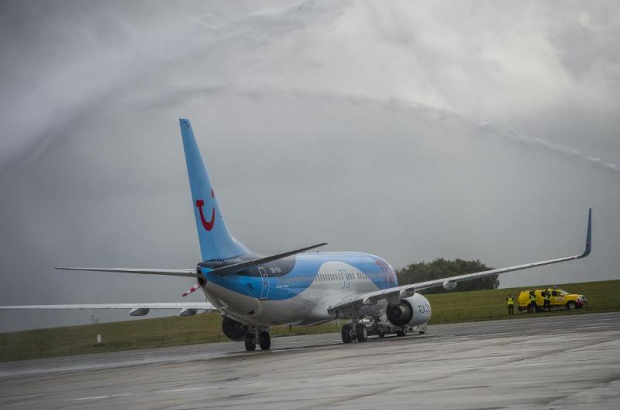 “There is nothing new at a security level, anywhere,” said Tui spokesperson Piet Demeyre on Thursday, following Thomas Cook’s announcement of the cancellation of its service to the tourist resort on Wednesday. Thomas Cook travel company said it had taken the decision based on a security evaluation in the Sinai region. The charter company said that it would allow passengers to cancel or modify their reservation for free. Its decision followed Brussels Airlines announcement to cancel flights after a security report, explained Thomas Cook. Brussels Airlines had been planning to resume a weekly service to the Red Sea destination at the end of June, but the company’s security department took the decision to cancel flights. Each airline company determines itself the security risk. We have decided to not run a planned service to Sharm El Sheikh,” said spokesperson Kim Daenen. Sharm el Sheik was the site of a terror attack on a Russian passenger plane in 2015. Since then, many flights to the destination have been banned. In its advice to travellers, the Belgian foreign office said that travel to the south of Sinai, except the hotel area around Sharm El Sheikh, was not advised. The Egyptian embassy in Belgium said in a statement on Thursday that it was surprised to receive requests for information from travellers following the Brussels Airlines decision. It said the airline company had not been in contact with any Egyptian official before deciding to cancel flights. There is no security threat to Sharm El Sheikh according to the embassy and no justification for cancelling flights to the destination, it said.